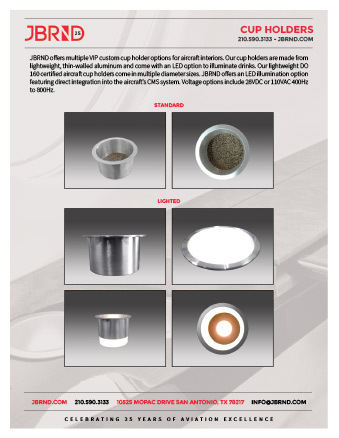 JBRND offers multiple VIP custom cup holder options for aircraft interiors. Our aircraft cup holders are made from lightweight, thin-walled aluminum and come with an LED option to illuminate drinks. 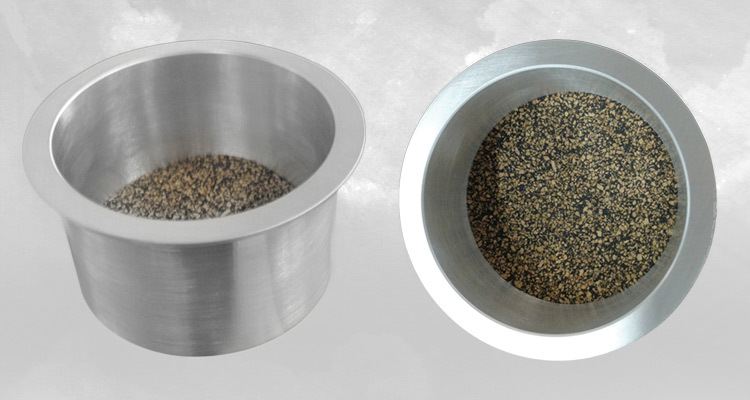 Our lightweight DO – 160 certified aircraft cup holders come in multiple diameter sizes. JBRND offers an LED illumination option featuring direct integration into the aircraft’s CMS system. Voltage options include 28VDC or 110VAC 400Hz to 800Hz. For more information about our cup holders for aircraft, get in touch with JBRND today. 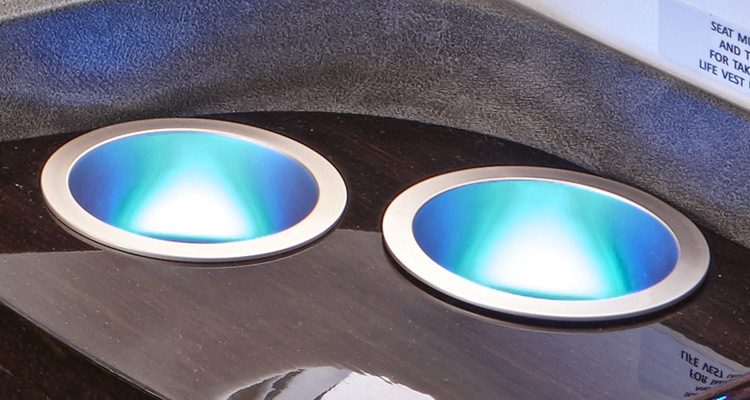 JBRND’s LED Illuminated Cup Holders have become quite popular lately. Here, they’re shown in the new Elliott Aviation 400E. Get the JBRND brochure for our cup holders The brochure is one page, in PDF format, ready for printing. If you are interested in any other JBRND brochures, make sure to visit our Downloads Section, where there are many others available. As always, just get in touch if you have questions. JBRND has made many custom cup holders for aircraft, serving customers all over the world. We look forward to discussing your project. Get in touch with us today to get more information by clicking the button below.